Home automation is one of the most popular trends today. This technology links your home to the Internet of Things (IoT) so that you can complete a growing assortment of household tasks using voice commands or a smartphone app. It all works thanks to digital sensors that exchange information using a secure short-range wireless network. With just a few sensors, you can create an integrated network that lets you control your domain with the push of a button. You can start with one item and build from there. Although the automation possibilities are nearly endless, these are some of the most popular options. Which Network Components Are Required? To automate your home, you need at least one smart device and an Internet-enabled bridge, or you could use a Trane smart thermostat. For convenience, Trane makes several smart thermostats that feature built-in Nexia bridges. 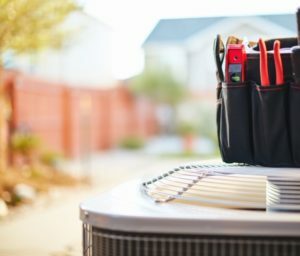 For a nominal monthly fee, you can use Nexia’s full suite of automation services, or you can control your HVAC system for free. This technology’s best feature is its unrivaled compatibility. It’s easy to install and use. There’s no need to worry about software glitches or hardware errors. Because Nexia uses an open framework wireless communication language called Z-Wave, it supports a wide selection of devices made by respected brands, including Trane. This exciting new technology secures your home and simplifies your life. 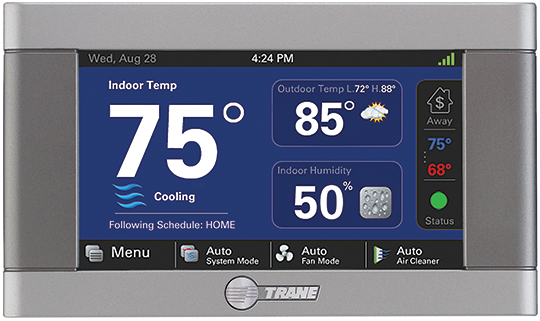 If you’re interested in purchasing a Trane smart thermostat, call Northeast Florida Heating & Air at 904-201-3413. You can find additional information about our residential automation services online.